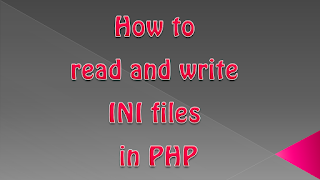 How to read and write INI files in PHP? Following is a sample INI files which has comments, sections, property and values. allow anonymous = "some data here"
Only one dimensional arrays are supported. If we do not want to use sections in output, then we should not send the second parameter. Sections will be Ignored. 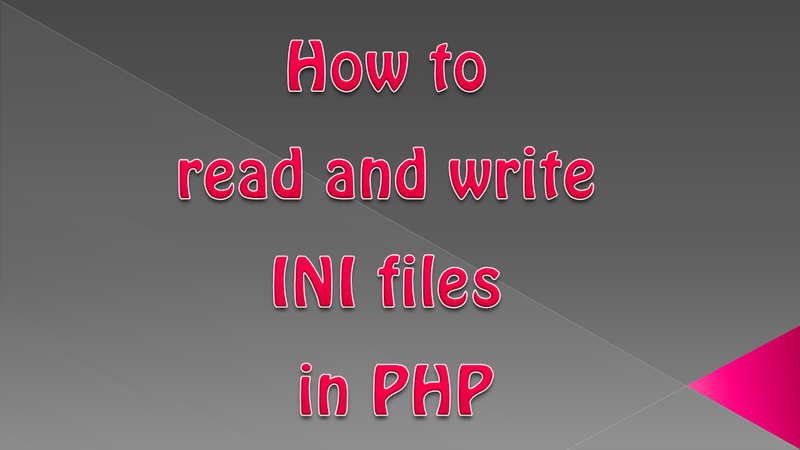 Anyway, reading is simple but sadly there is no direct function from PHP to modify an existing configuration in an existing INI file or creating a whole new INI file. The following function consider that you have already parsed configuration from the INI file and now you have the configuration in an array. You modify the configuration array as you want then you send the array to the function to update or rewrite the INI file with the populated configuration array. However, you don't send the 3rd parameter as true if you have no section in your configuration in INI, just send the first two parameters. What is Tree in Data Structure? Explain different types of trees. What are the Differences between Computer Hardware and Software?